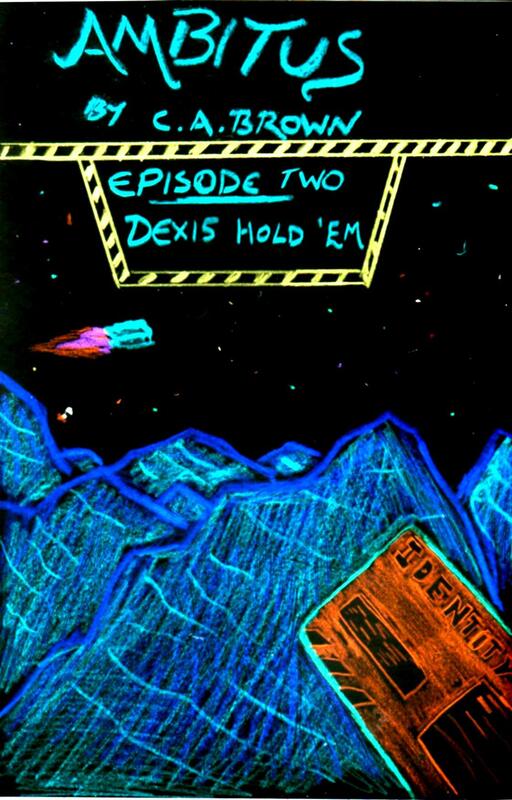 Well, I am extremely proud to introduce episode two of “Ambitus” – “Dexis Hold ‘Em”. In case anyone is new to it, “Ambitus” is a sci-fi comedy fiction series which I’m working on at the moment. The episodes will be about 10,000-15,000 words long (episode one was approximately 9800 words long) and they’re sequential, but mostly self-contained. Following the events of episode one, Captain Jola has recieved a terse message from the admiralty demanding a meeting on a nearby space station. Anyway, I’ll post chapter one on the “Ambitus” blog in a few minutes. Other chapters will be posted daily at 22:30 GMT. “Jola’s Day” is probably my favourite chapter from episode one of “Ambitus“, a sci-fi/comedy fiction series which I’m working on at the moment (it will be updated daily at 22:30pm GMT and it can be found here). Anyway, this chapter (which is pretty much a self-contained story) introduces Captain Jola of the FMS Imperial, who is the main antagonist of the series. It’s also one of the funniest chapters in episode one, not to mention that it was also a brilliant opportunity to parody a few of my favourite sci-fi shows too. Captain Jola of the FMS Imperial was having a bad day. The day had started quietly with an attempted raid by two pirate crafts. They’d made off with half of the engine coils and a third of the provisions before the gunner could get a lock on their ship. About half of the technical crew was still paddling around outside the craft in suits trying to recover as much of the engine as they could. On top of that, three ensigns had been found storing contraband in the bulkheads. It was nothing major, just a few weapon parts and stimulant precursors but security would have to trace everything they’d found. In addition to this, procedure dictated a full search of every bulkhead in the event that anything else had been stored there. Jola was more than a bit nervous that they’d turn up his secret stash of impropriotous sense recordings from New Paris. Of course, he’d have to find some way to pin that on the ensigns too and, dammit, one of them was supposed to be overseeing the repairs to his transport pod. By the time Captain Jola had got his morning coffee, it had gone cold. Not only had it gone cold, but there was something floating in it. He suspected that it was a crouton, but it looked distinctly biological and it smelt disgusting. He’d left the coffee and sent a memo to his lieutenants to redouble precautions against assassination attempts. This attempt was probably from one of the techs in the bio labs. Ever since Jola had passed on the pay cuts from Main Command, he’d found the occasional genetically-modified rodent in his cabin and the occasional small pile of mysterious white powder in his ration tray. Fortunately, he thought, highly-qualified scientists make terrible murderers. Still, he’d have to get the crouton tested before he could file charges. And, of course, there was only one place on the FMS Imperial with the facilities to do this and he wasn’t visiting there any time soon. Worst of all his second-in-command, Lieutenant Riller, had walked straight onto the bridge, taken one look at the coffee and cheerfully said ‘Thanks captain, just what I needed.’ Before Jola could say anything, Riller had drank half of it and had started chewing the crouton. Smiling at Jola, Riller had said: ‘Hmm… it tastes like cinnamon’. Five seconds later, the first blue spot had appeared on Riller’s forehead. Ten seconds later, Riller had turned completely blue and started frothing at the mouth. Thirty seconds later, Riller was in the infirmary and Jola was arguing with Doctor Trelleck about whether the main bridge needed to be shut down in case whatever was in the crouton was also contagious. The Doctor had won. Two full-body scans later, Jola had found himself in the cramped and dusty secondary bridge with all of his bridge staff. The atmospherics were playing up and the techs who had been assigned to fix it were just about visible through the porthole by the obsolete navigation console. They were wrestling with what looked distinctly like a giant frozen Bucolian squid. It took Captain Jola a few seconds to realise that it was the same Bucolian squid which he’d been saving in the back of the stores compartment as the piece de resistance for the the diplomatic reception scheduled in two days’ time. He’d have to serve the representatives of three unstable worlds standard rations and Main Command would not be happy about it. About halfway through describing to the bridge crew exactly what he would do to the next vessel of uncultured frixing pirates that crossed the FMS Imperial, Doctor Trelleck had turned up to ask about funeral arrangements for Lt. Riller. In a fit of rage, Jola had told her to just fire what was left of Riller out of the nearest torpedo tube on the off-chance that his body might puncture the hulls of any pirate vessels in the general vicinity. The last thing Jola had expected was for Trelleck to take him literally. As the space-frozen body of his former second-in-command streaked past the porthole and obliterated one of the technicians, Jola had recieved a message from Main Command informing him of how the FMS Glorious had recently secured a new section of the border region. For the first time in the whole day, Jola had smiled – at last he’d actually be able to try out the new phase cannon which had been installed a couple of weeks ago. After all of this, he was in the mood for blowing ten shades of crud out of the next ship which crossed his path. Then the second part of the message from central command had arrived. Along with two cadet ships, the FMS Imperial had been assigned to collect civilian UT detainees from the new border zone. Jola practically smashed the console up. If there was one thing he hated more than peace, it was dealing with hundreds of border detainees. Hundreds of border detainees who would take up three of the cargo decks, take every chance they could to sabotage his ship, constantly claim their frixing rights under the frixing Sirtis Convention and constantly pester his crew. Even if he was able to palm most of them off to the two cadet ships, there was no way that his ship would be working smoothly for the next three weeks at least. So, when one of his lieutenants pointed to an unidentified small vessel on the long-range scans which had an expired ident chip, a smile crossed his face for the second time. Law enforcement was part of his general orders and putting the fear of the Gods into some incompetent transport captain seemed like the perfect way to blow off some steam. Well, since “Liminal Rites” is nearly ending (there are about four days left), I thought that I’d give you all a treat and start my next project early! 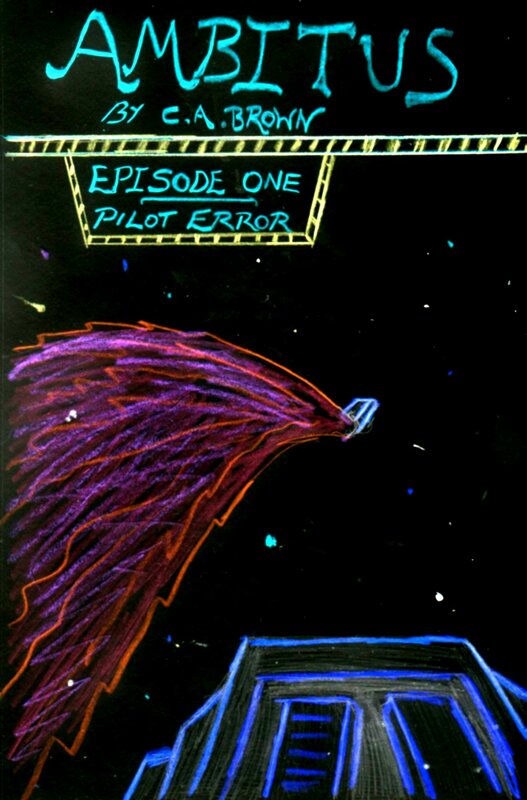 “Ambitus” (which can be found here) is a sci-fi/comedy series which will be released in 10,000-15,000 word “episodes”. When an episode has started, new chapters will be posted daily (probably at 22:30pm GMT, like “Liminal Rites”). Think of it as a TV series, but with a really low budget. Anyway, “Ambitus” follows a group of three passengers (and a drunken pilot) on a Unified Territories civilian transport ship on a routine journey to New Pluto. However, following a border dispute, they suddenly find themselves firmly within the Federated Territories and it isn’t long before they end up being chased by an unusually angry military captain with a score to settle. Anyway, chapter one is now online and it can be found here.